This week we have been talking about what it’s like being a busy mom and juggling all the different roles that come with that. I’m not even a working mama and I know the difficulty of getting dinner together every night. I know that I’m not the only one who sits there and thinks “I don’t know what to cook for dinner this week.” After thinking that, I then end up on Pinterest “looking for recipe ideas” for 90 minutes. Not very productive. 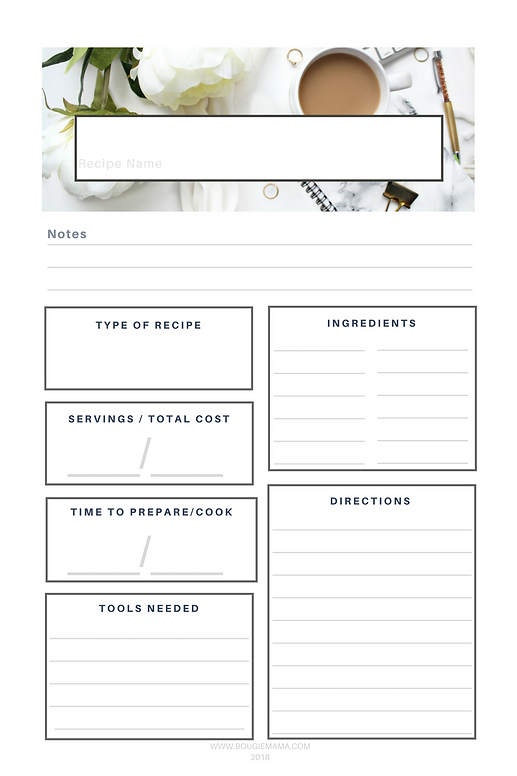 Having recipe cards handy in the kitchen is a huge help. 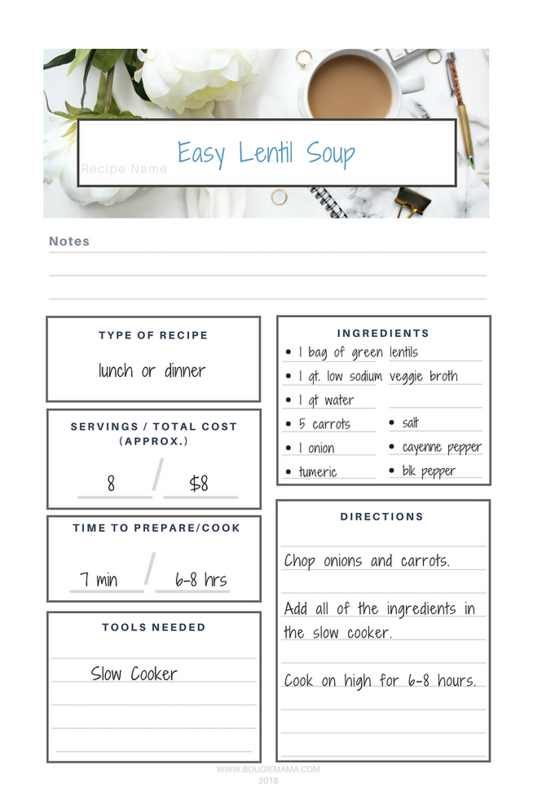 You can write/type in your own recipes or any of your Pinterest favorites. I took the liberty of adding in 2 recipes for you to start with. We have some recipes (including vegan) that you can check out here and a large variety of recipes on our Pinterest board here. Those random recipes that you create out of sheer experimentation and forget what you did the next time you try to recreate it. 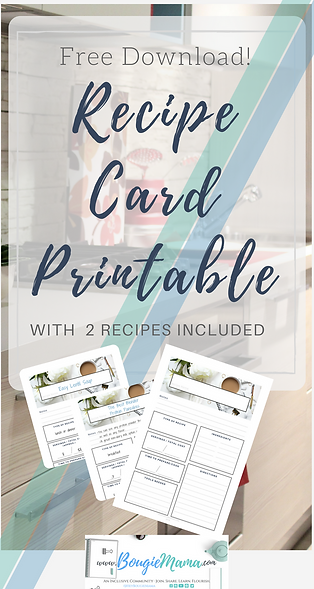 What recipes will you add to the card? What’s one of your favorite recipes to make for the whole family? Drop a comment below! Click on an image below to download the pdf version, or download all 3 of them here. A quick and easy vegan meal packed with protein. Shared by co-founder, Cecilia. 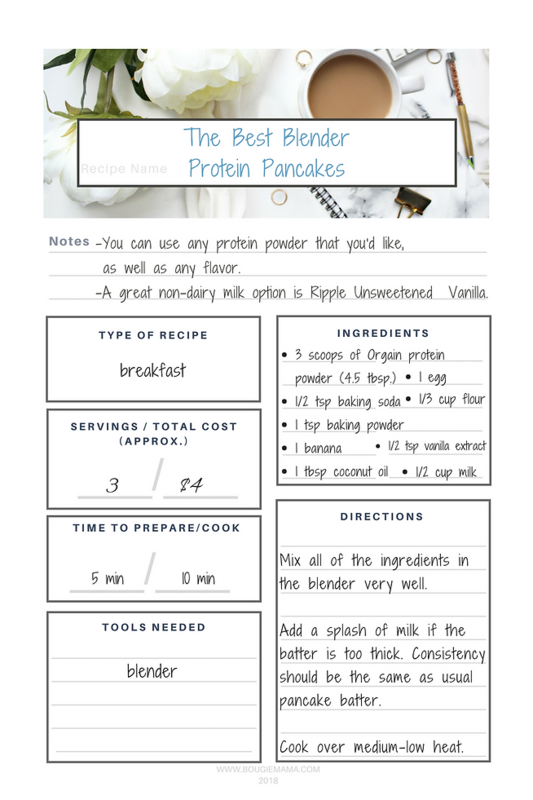 This recipe is perfect for picky eaters, breastfeeding moms who need the extra calories & protein, busy parents, or anyone who just wants the goodness of pancakes with a little less guilt. See the article here.